Renal replacement therapy is a term used to encompass life-supporting treatments for renal failure. Renal replacement therapy replaces nonendocrine kidney function in patients with renal failure. 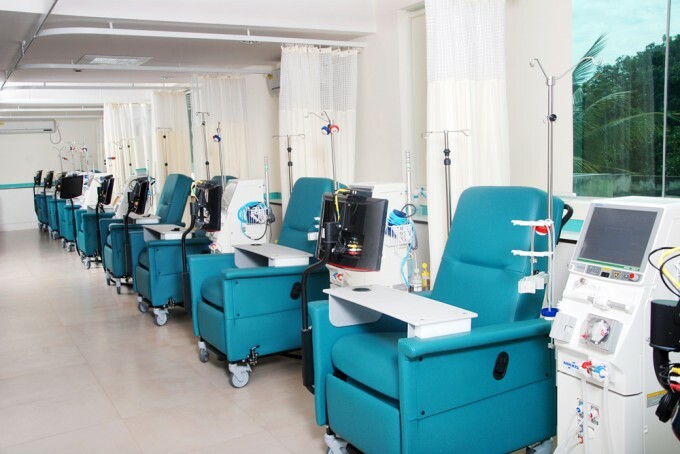 Techniques include intermittent hemodialysis, continuous hemofiltration and hemodialysis, and peritoneal dialysis. All modalities exchange solute and remove fluid from the blood, using dialysis and filtration across permeable membranes. Dialysis and filtration can be done intermittently or continuously. Continuous therapy is used exclusively for acute renal failure; benefits over intermittent therapy are improved tolerability as a result of slower removal of solute and water.